Welcome to the world, James! All newborn photography sessions are meaningful, but this photoshoot was extra special. This couple waited many years to become pregnant, and it was certainly worth the wait. James is such a sweet little guy, he also has quite the personality. Many people don’t realize how opinionated newborns can be, but James didn’t let us forget it. His facial expressions were the best, and while he tried to stay awake the entire time, eventually he gave in and we were able to get some beautiful sleepy baby photos. Enjoy the highlights from this adorable Milwaukee newborn session! 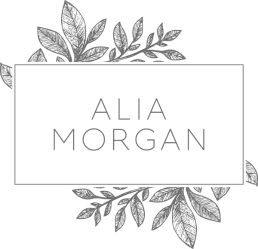 Considering booking your maternity or newborn photography session with Alia Morgan Photography? It’s never too early to schedule. Maternity sessions take place around 32-36 weeks. Newborn sessions take place within five to ten days after baby’s birth. We suggest booking with your maternity and newborn photographer at the beginning of your second trimester to guarantee your session. Alia only takes a limited number of expecting families per month. This is why Alia is one of the best newborn photographers in the Milwaukee area, you truly receive a custom photography experience. Contact us to book your maternity and newborn sessions today.